I have been making good progress on the Purple Pineapple quilt. I have all 100 interior blocks pieced. 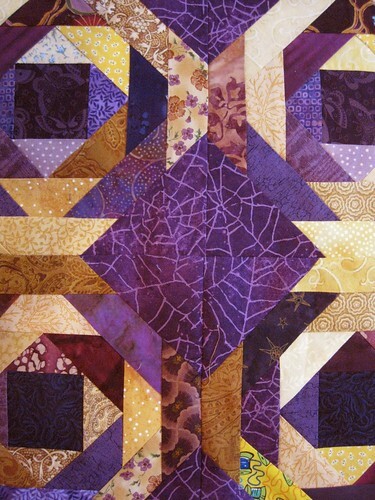 The final two rows on all four sides include some almost-solid purple corner blocks so that the internal border of purple diamonds appears. 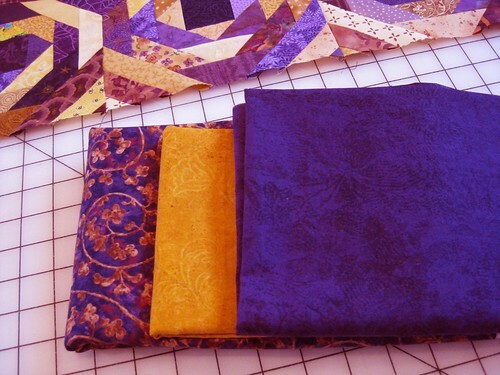 I have purchased fabric for the next borders that will be gold diamonds on a purple background. This photo includes the final outside border print fabric I bought, also. You have to trust me that the colors match much better than these pictures indicate. I tried to adjust the color balance, but it is still not exactly right. Maybe the camera got confused by all the purple, plum, lavender and violet fabrics! 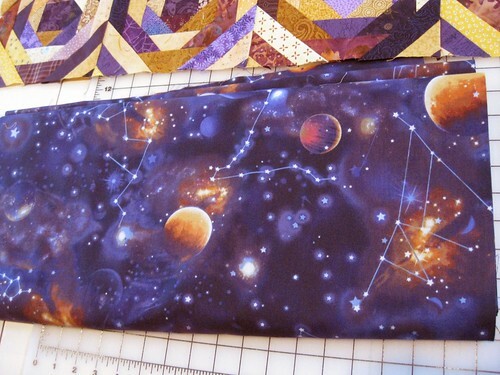 Here is the backing fabric I chose. Imagine sleeping under the planets and stars of outer space! I am seeing the light at the end of the tunnel with this project. 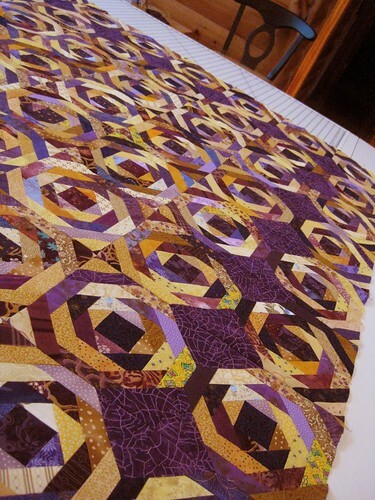 I have been imagining quilting patterns as well. Cannot wait to load it onto the new Gammill Vision 26-10 and try out some new Glide thread I bought for this project.